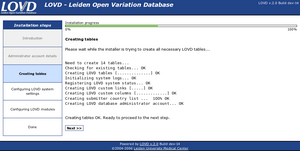 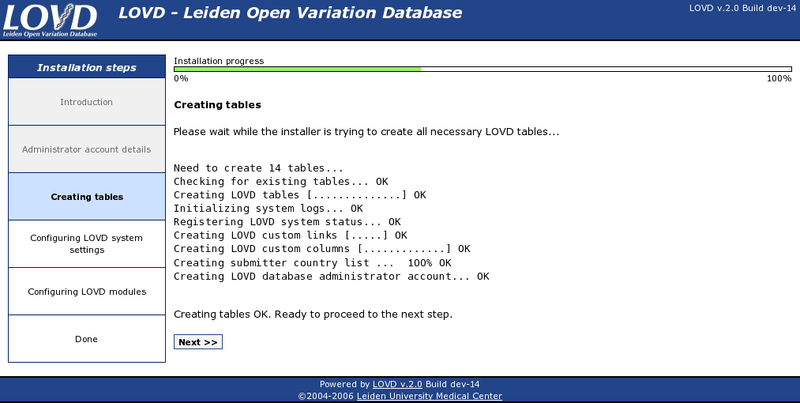 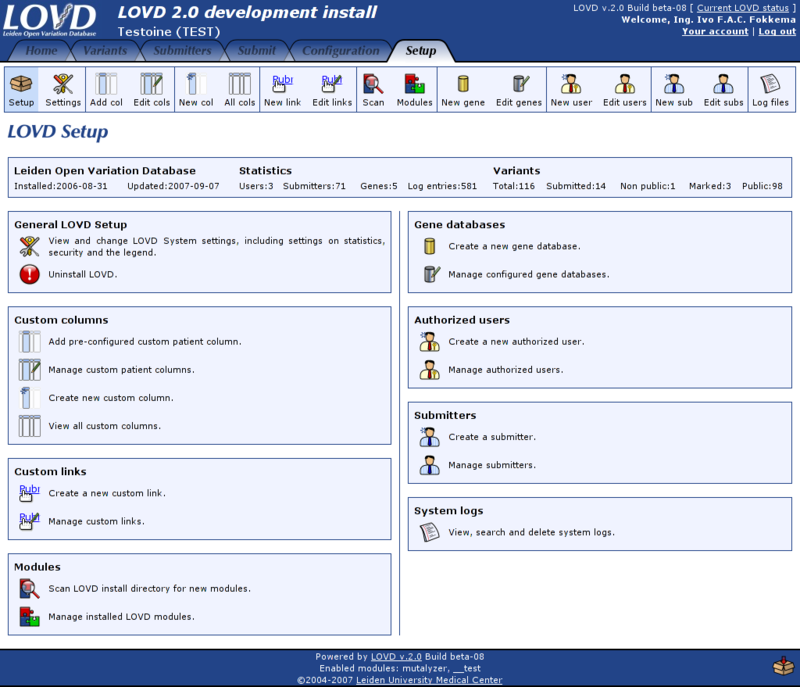 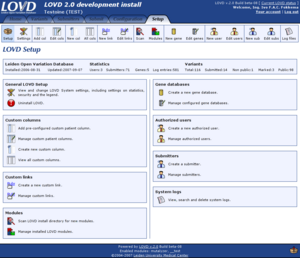 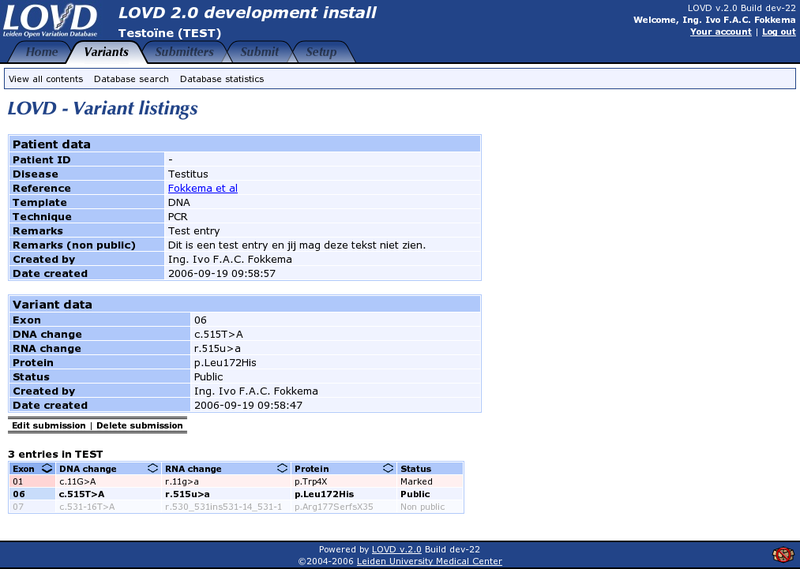 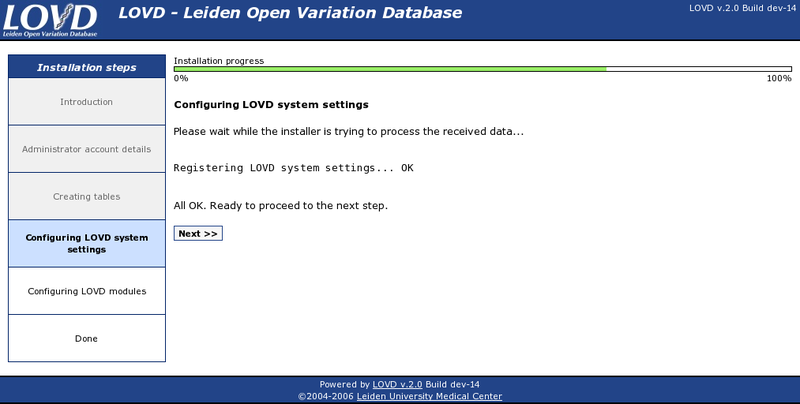 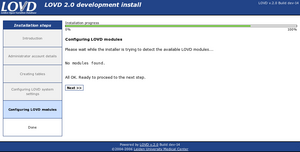 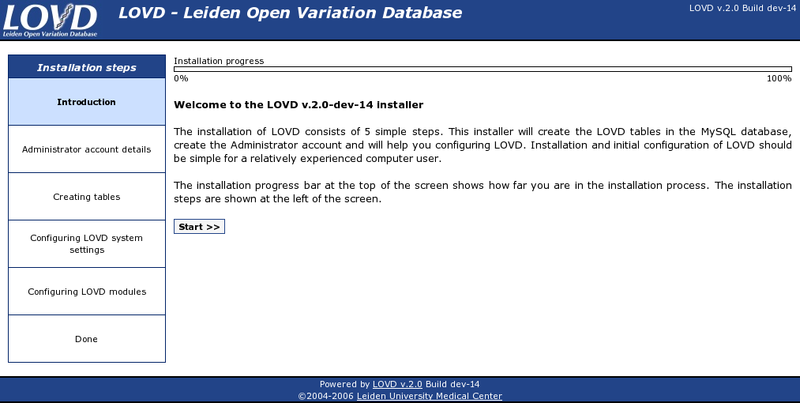 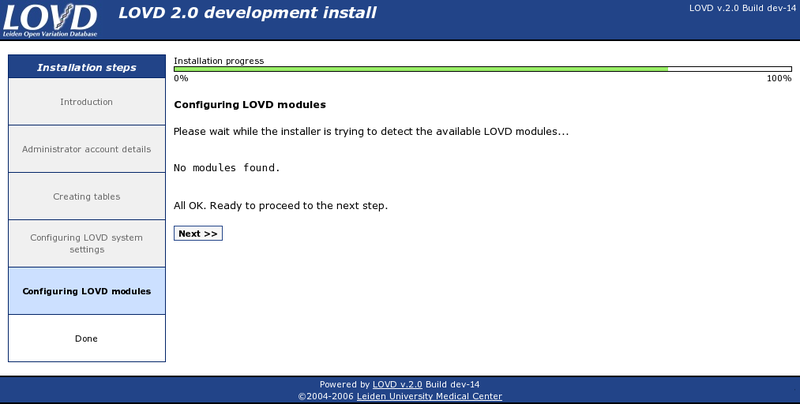 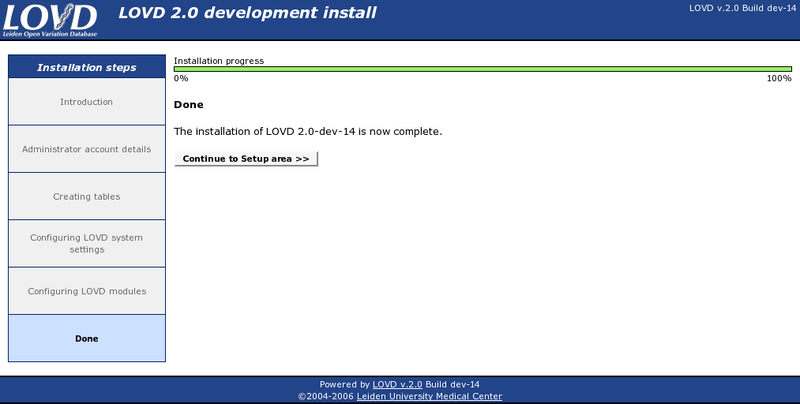 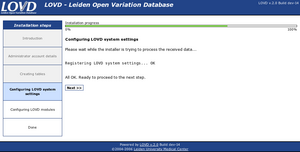 Installing LOVD takes less than 1:30 minutes! 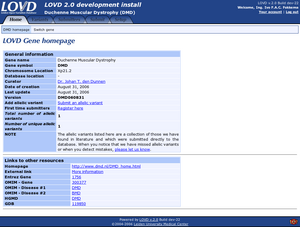 Watch this video how quickly LOVD can be set up. 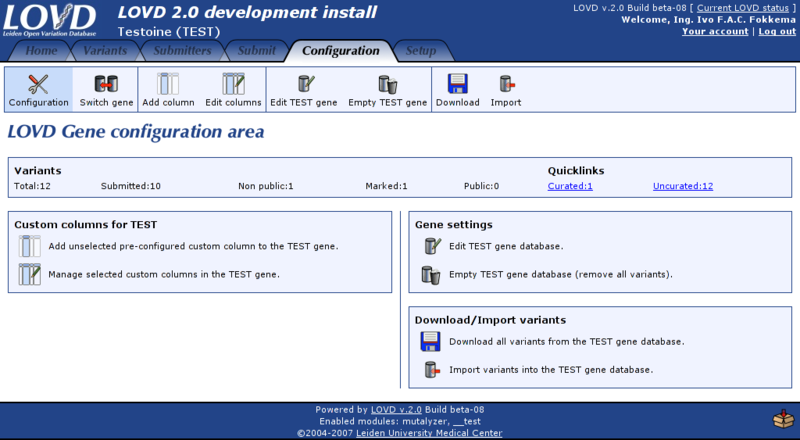 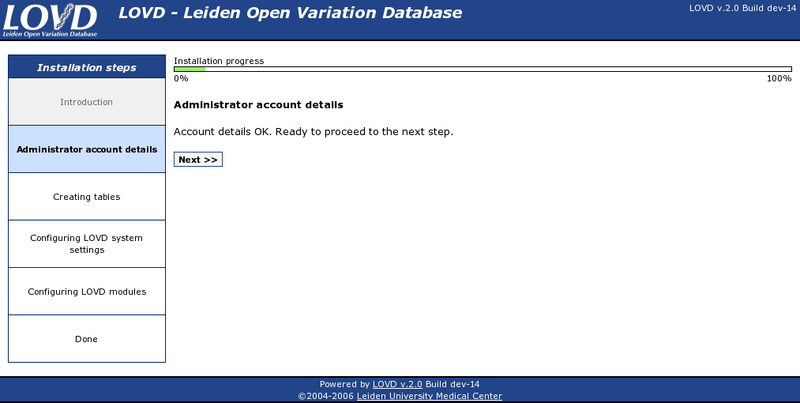 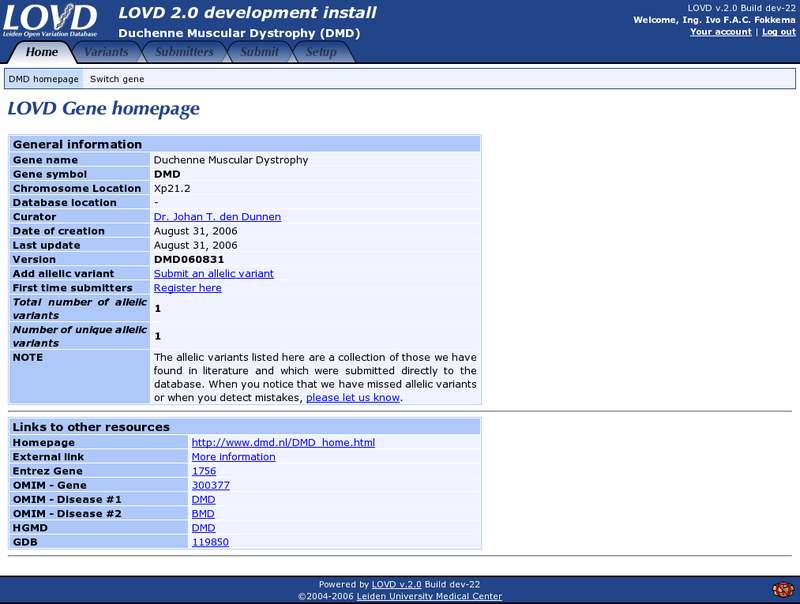 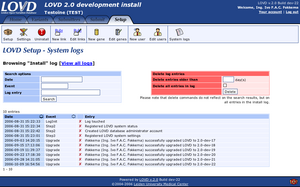 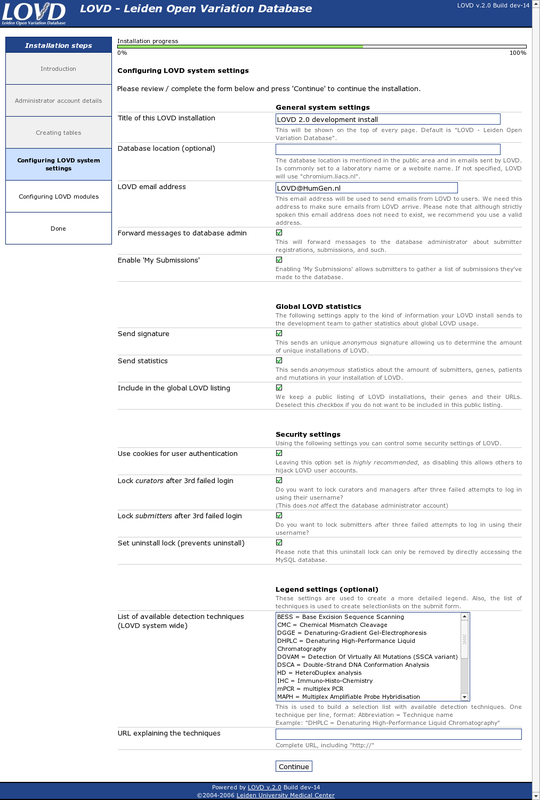 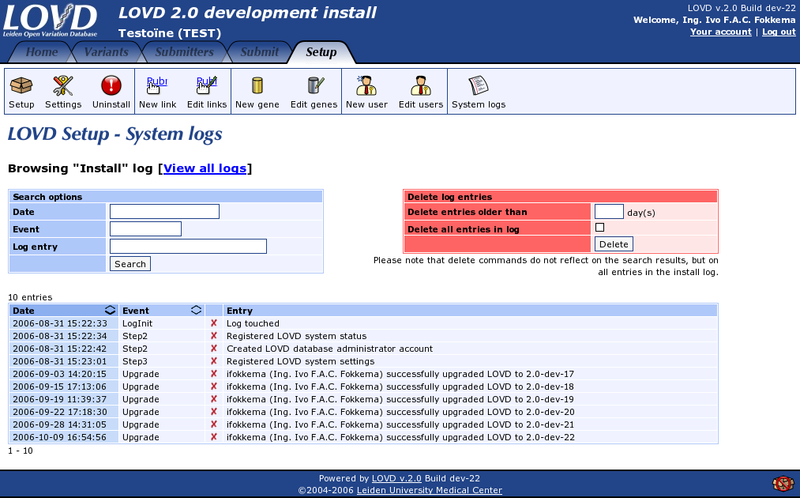 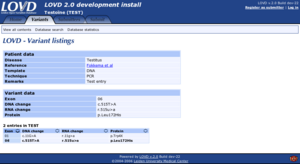 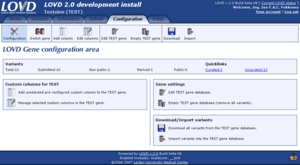 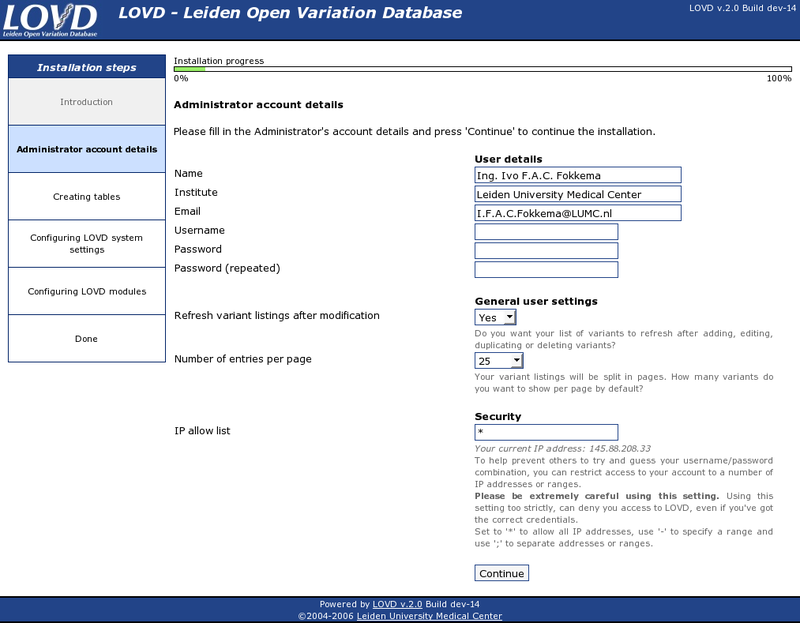 The Setup area allows the manager or database administrator to configure system-wide LOVD settings, such as gene databases, users, submitters, custom columns, custom links and modules. 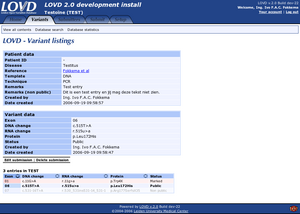 Also the system logs can be viewed from here. 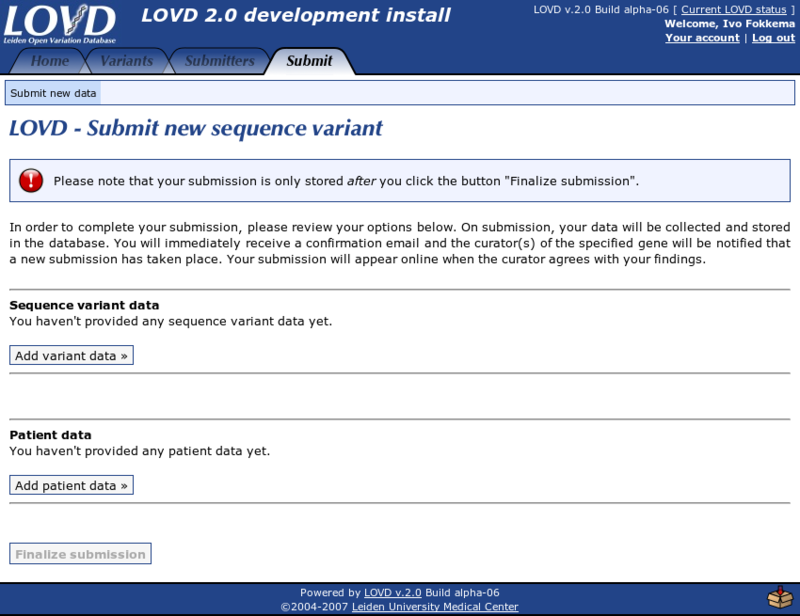 Because the patient data and variant data are now stored separately, submission is not done from a single form anymore. 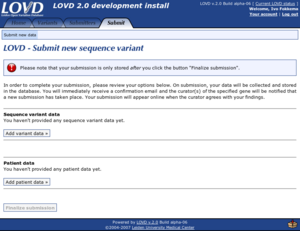 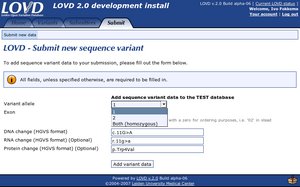 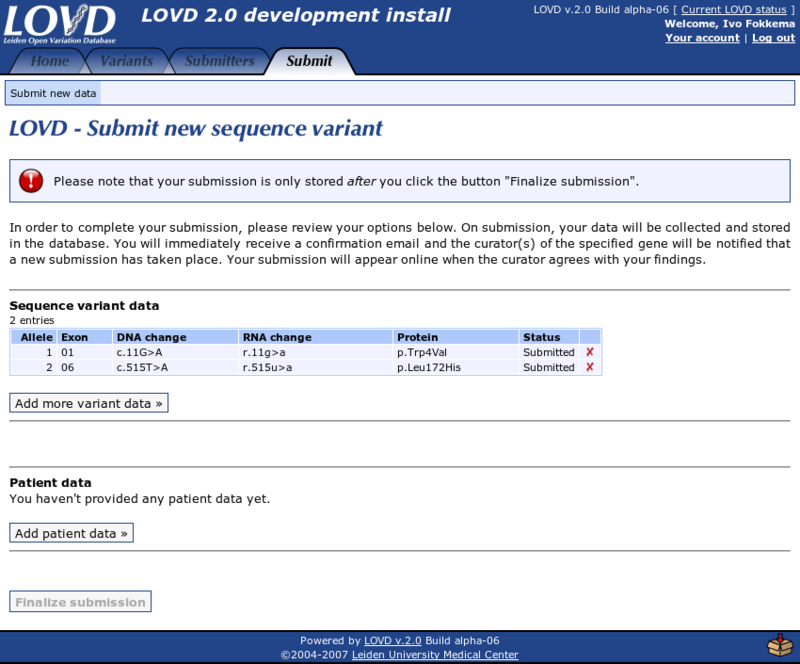 It has become a multi-step process, but you can now add more variants per patient all in once. 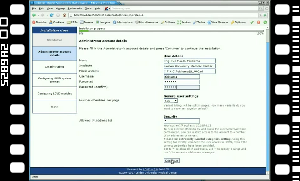 When logged out, non-public fields are hidden. 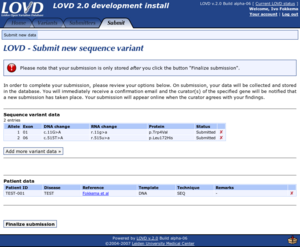 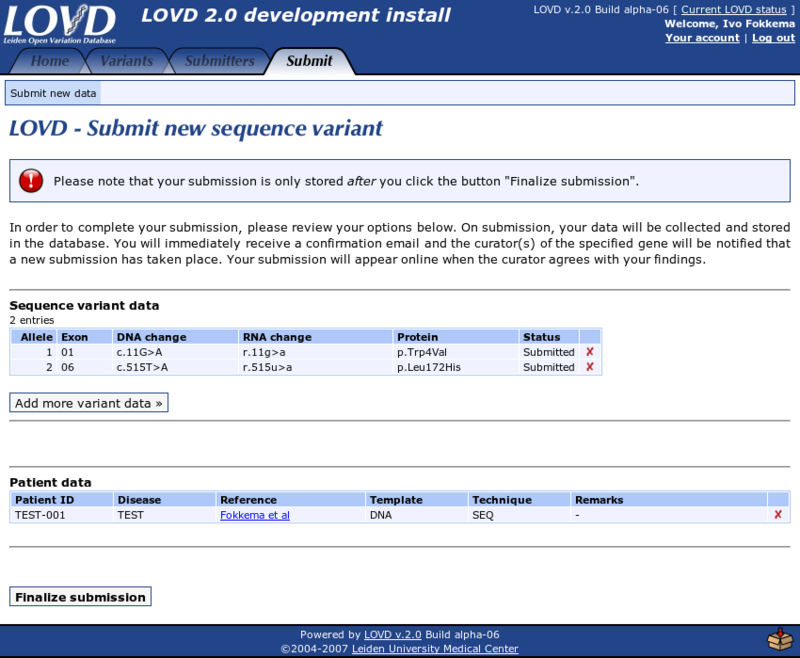 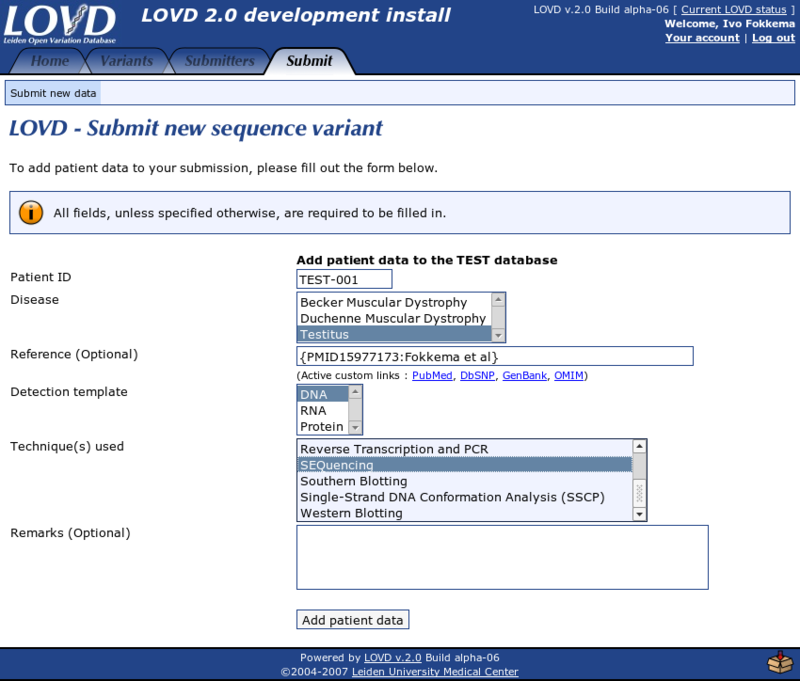 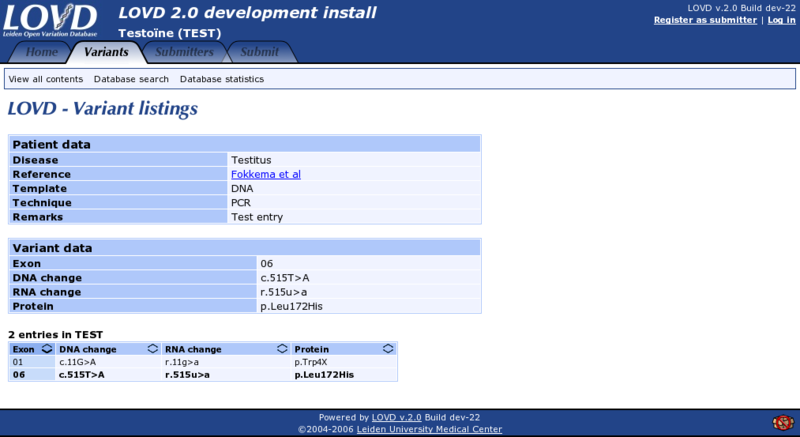 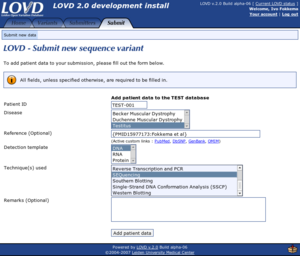 All public variants associated with this patient are shown beneath the variant details, so you can check all mutation info quickly. 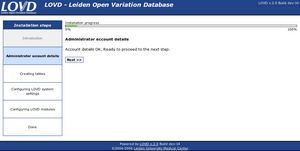 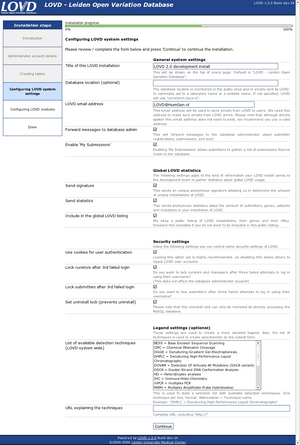 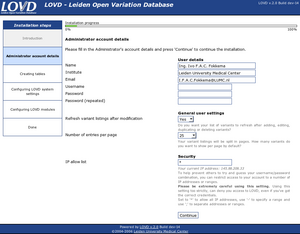 When logged in, some additional fields are shown, such as the variant status. 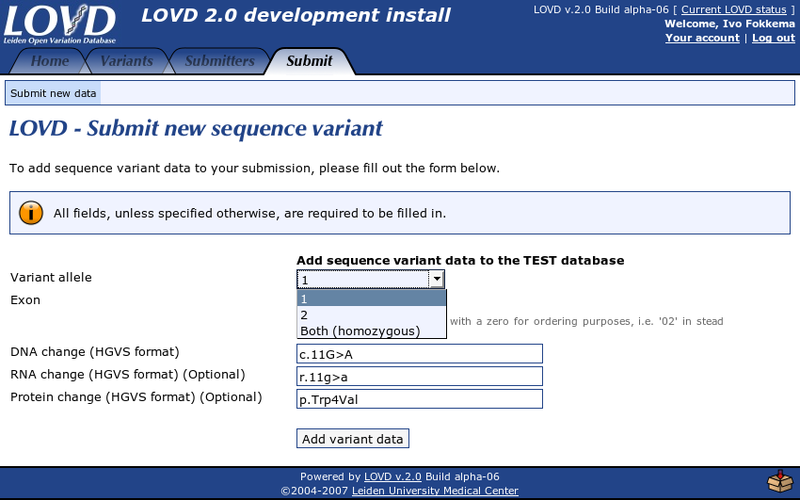 Hidden variants show up, too.